Get home cleaning services in Hyderabad with a 30-Day Service Guarantee and Protection against Damage upto INR 10,000. We have Well Equipped and Trained Team, who carries out Deep House Cleaning and Sanitization with Non-Hazardous Chemicals. We provide cleaning services for studios, apartments, and villas. You to hire experts in home cleaning and get a healthy environment in your home. 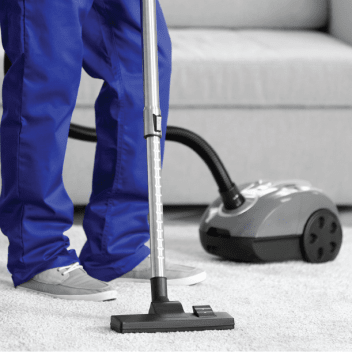 Book an expert for home cleaning services in Hyderabad now! Untrained professionals. Had to be on top of them to make sure they did their work properly. even though they were hard working, they were poorly organized and ended up with mediocre work. Would not recommend. Really Professional and good work. This is the 3rd time we have employed Nature House Keeping's services and as usual we are 100% happy. Excellent work done by Navin team. He broked Flush pipe while cleaning , worst part is he not even informed us. Just left without any information. The staff were professionally competent and came well prepared for the job. The cleaning was done well including vents, sofa, curtains etc. The bathrooms were spotless and floors and kitchen were scrubbed clean. A good experience with minimal supervision. A job well done. They did a just okay job. We had to constantly monitor the team to make them not leave nooks and corners. The biggest problem is that they used too much shampoo/ soap to clean and did not bother to clean up after with plain water. That left my glass doors/ mirrors stained with residue, floors sticky and sofas soapy. Frato's Facilities & Management Services Pvt. Ltd.
nikhilhired Frato's Facilities & Management Services Pvt. Ltd. I would say average. Not happy with the bathroom. But overall decent. ganesh bshired Frato's Facilities & Management Services Pvt. Ltd. Very polite guys who came to clean. They did a good job of cleaning. They did not make a mess while cleaning and were thoroughly professional. Good job guys! They are not removed cobweb properly and not cleared the dust fallen down. There is no hard smell to open door, windows. It's good service for cleaning the big items in the house. They're quite thorough. However, they can do a better job of paying attention to details. Specifically cleaning windows and sofas. Did a good job. Satisfied with the work. 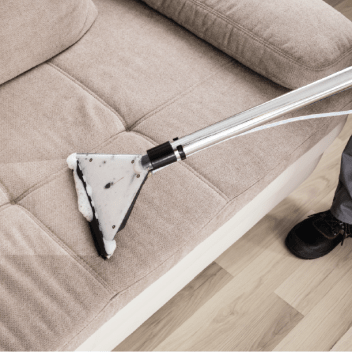 There are no hidden costs to home deep cleaning. You pay for what you book and that is exactly what you get. If there are any discrepancies, we urge you to give us a call immediately. Whether they buy an apartment or build their own homes, people put in a lot of planning, hard work, love and money into it. Therefore, it is not surprising that people take great pride in maintaining their beautiful homes. However, in modern times when the lives are busier than ever, many people are finding it hard to maintain the level of cleanliness they want in their home. This can lead to stress and even affect their mental state. Believe it or not, a simple solution to this problem is availing professional home cleaning services. 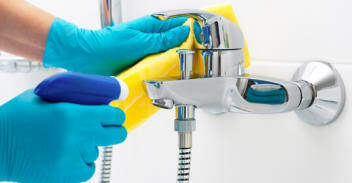 Great Value for Money: One of the main reasons why people do not consider hiring cleaning services is because they assume the price of availing these services to be high. However, the actual price of availing professional cleaning services is quite affordable. It is also a good value for money. By hiring professionals, you free up your time that you can utilise in any way you want. You also save money that you would have otherwise spent in purchasing different cleaning products and equipment for different things in your house such as leather sofa, carpet, curtains, cabinets, wooden furniture, etc. Reduced Stress Levels: The peace of mind that you get when you hire trained professionals for home deep cleaning services is invaluable. It helps reduce your stress levels since you get rid of one of the biggest stress-inducing things in most people’s lives. The best part is that the time freed up can be utilised by relaxing on the sofa, reading a book, catching up with friends, etc. You will be able to live a better life. Healthy Environment: If you do not like cleaning your home, there is a chance that you would put off the task until you can. This may sound like an innocent and obvious choice but it can have a bad impact on the health of your family. Increased levels of dust, germs, allergens, etc. in your home can lead to allergies, skin infections, etc. especially if you have little children, senior citizens or pets at home. Professional cleaning service providers sanitise and disinfect your home so that it is free from pests, germs, dust, etc. and you get a healthy environment in your home. Vetted Service Providers: If you do not know service providers like home cleaning professionals personally or through your network, it can be tough to trust the professionals you hire. 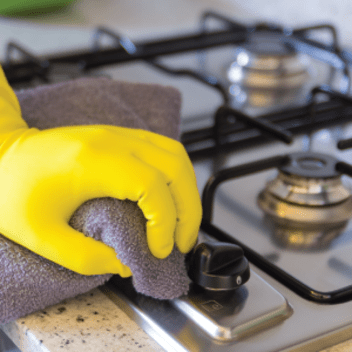 However, we eliminate this problem by running verifications and background checks on service providers so that our customers do not have to worry about these things while availing our home deep cleaning services in Hyderabad. Convenience: Our customers can book home deep cleaning services in addition to other services from our website or mobile app. All you need to do is to select your city (Hyderabad in this case), type of the house out of apartment/villa, date and time for the appointment and your address. We will send a team of 3-6 professionals depending on the size of your house for the service. They will also bring all the cleaning chemicals required to clean different types of surfaces and equipment to do the job.